Interior Signage - RoadSafe Traffic Systems, Inc.
For your lobby or reception area, your company has its chance to showcase the brand. 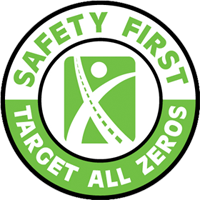 For your customers, the sign must communicate quality and RoadSafe can offer a vast array of options from the right materials with true craftsmanship. In addition to this first impression, we can also provide your company with interior directional signage and other facility signs that you may require.